SNL’s Andy Samberg will host this year’s Primetime Emmy Awards. The 67th Annual Primetime Emmy Awards ceremony will be held on Sunday, September 20, 2015 at the Nokia Theatre in Downtown Los Angeles, California, and will be broadcast in the US by Fox. “Buckle your seat belts, Emmy viewers!” said Andy Samberg in a statement, promising viewers “a wild ride”. 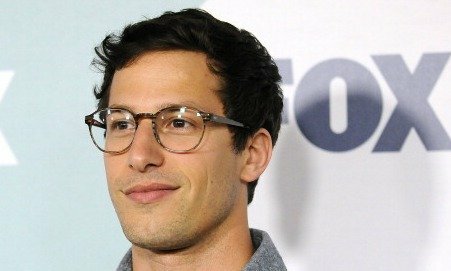 Andy Samberg, 36, performed on SNL for seven seasons, before joining police sitcom Brooklyn Nine-Nine in which he plays Detective Jake Peralta. The role earned him a Golden Globe for best comedy actor last year. “Buckle your seat belts, Emmy viewers! Like, in general you should buckle your seat belts in your car. In fact, even if you’re not an Emmy viewer, you should buckle your seat belt. It can be dangerous on the road,” Andy Samberg quipped, in a statement. Andy Samberg previously won an Emmy in 2007 for a sketch song he performed on SNL, as part of the comedy troupe The Lonely Island. As The Lonely Island, Andy Samberg also performed on Everything is Awesome, the hit song from The Lego Movie. Last month, the Television Academy announced new rules for the Emmy Awards. Among the changes will be an increase to the number of nominees in comedy and drama categories, from six to seven. Comedy series must now run for half an hour, or less, per episode, while drama series must run for more than 30 minutes per episode. The award for mini-series was renamed as limited series. The 67th Annual Primetime Emmy Awards honors the best in US prime time television programming from June 1, 2014 until May 31, 2015, as chosen by the Academy of Television Arts & Sciences.